MSC Seaside is the newest cruise ship from MSC Cruises and it has just arrived in PortMiami, Florida for the very first time. 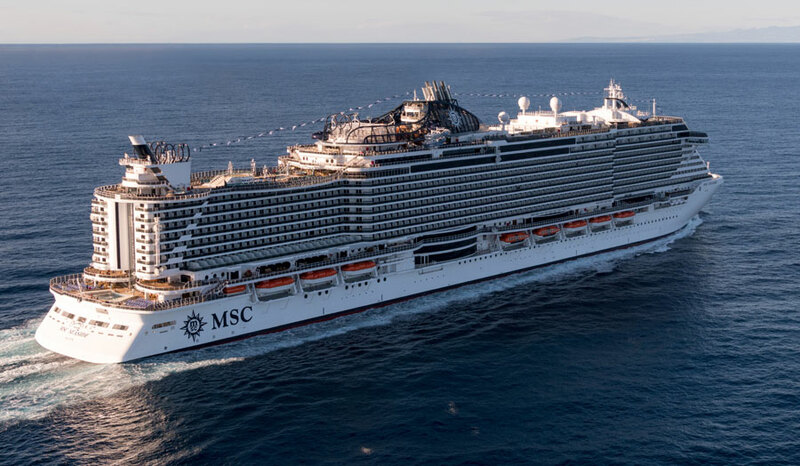 The new MSC cruise ship has arrived in the cruise capital of the world to begin its new year-round Caribbean sailings. This is the first time MSC Seaside has docked in PortMiami and the first of many where cruisers will be able to enjoy one of the most advanced cruise ships in the world. MSC Seaside which joined the fleet earlier in December from the Fincantieri shipyard in Italy departed Trieste for a 21-day transatlantic voyage which ended in Miami, Florida this morning (Dec 21, 2017). The MSC cruise ship will have a busy first day docked in Miami with its christening ceremony being held in the evening. the naming ceremony will be attended by a host of celebrities to mark the ships official service. The cruise line will broadcast the event live online here. The vessel will depart on its maiden voyage from the south Florida port for a short cruise but will then begin regular service from the port on December 23. MSC Seaside will sail Eastern and Western Caribbean itineraries all year round and will expand MSC even further in the North American market. A sister ship named MSC Seaview will join the fleet in 2018 and MSC Meraviglia already arrived in 2017 which is the largest ever MSC vessel so far. MSC Seaside is 153,516 gross tons and can carry 5,119 guests.